Preferred Auto Credit is dedicated to providing the ultimate automobile buying experience. Feel free to come by the store any time to meet us in person. We invite you to take a tour of our facility and enjoy a pressure free car buying experience. We finance! Good credit or bad credit, even open bankruptcy. We will secure an auto loan for you today. Call now. Visit Preferred Auto Credit online at www.preferredautocredit.com to see more pictures of this vehicle or call us at 702-930-8307 today to schedule your test drive. Elite Auto Credit is dedicated to providing the ultimate automobile buying experience. Feel free to come by the store any time to meet us in person. We invite you to take a tour of our facility and enjoy a pressure free car buying experience. 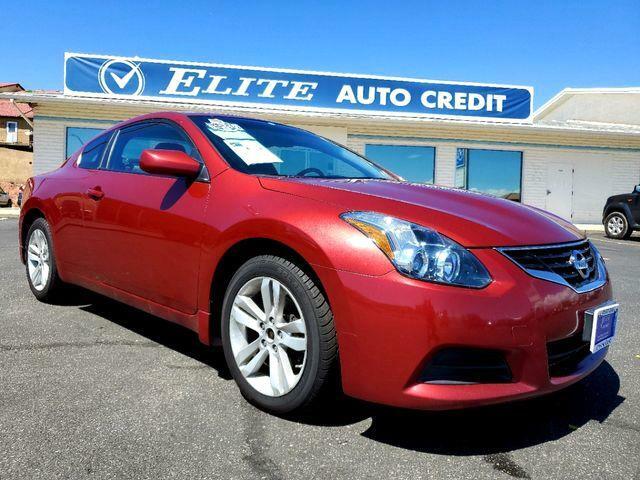 Visit Elite Auto Credit, LLC online at www.eliteautocredit.com to see more pictures of this vehicle or call us at 435-728-0816 today to schedule your test drive. Although every reasonable effort has been made to ensure the accuracy of the information contained on this site, absolute accuracy cannot be guaranteed. The site, and all information and materials appearing on it, are presented to the user “as is” without warranty of any kind, either express or implied. All vehicles are subject to prior sale. Price does not include applicable tax, title, license, processing and/or documentation fees. Vehicles shown at different locations are not currently in our inventory (Not in Stock) but can be made available to you at our location within a reasonable date from the time of your request, not to exceed one week. Message: Thought you might be interested in this 2013 Nissan Altima.